As many as 10 BJP ruled states, including Uttar Pradesh, Maharashtra and Tripura, said they would follow suit. The Centre on Thursday reduced fuel prices by Rs 2.50 per litre with immediate effect. The revenue department will cut excise duty by Rs 1.50 and oil marketing companies will absorb Re 1 per litre. 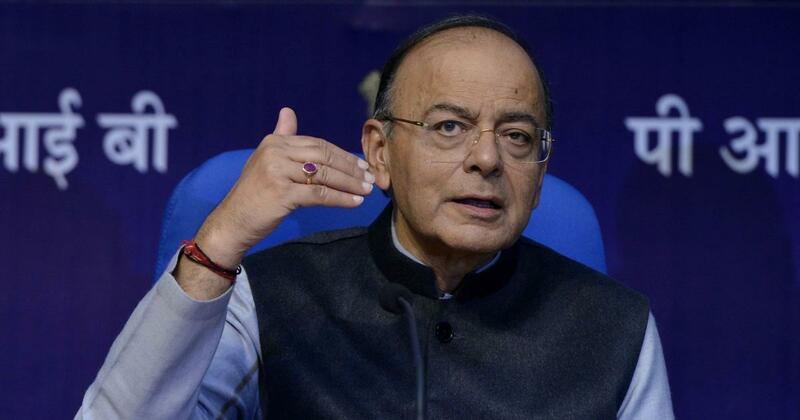 Union Finance Minister Arun Jaitley said he would write to state governments to urge them to absorb an additional Rs 2.50 per litre through reduction in value-added taxes that are imposed by states. The governments of Maharashtra, Gujarat, Chhattisgarh, Jharkhand, Tripura, Madhya Pradesh, Himachal Pradesh, Haryana, Uttar Pradesh and Assam – all under the rule of the Bharatiya Janata Party – said they would follow suit. The decision was taken at an inter-ministerial meeting of the finance and the petroleum ministries. Jaitley expressed confidence in maintaining the fiscal deficit target for the current financial year despite the reductions. The government aims to limit the fiscal deficit to 3.3% of the Gross Domestic Product in 2018-’19. Soon after the union finance minister’s announcement, the Maharashtra government said it would give an additional relief of Rs 2.5 per litre on petrol – a total benefit of Rs 5 litre, Chief Minister Devendra Fadnavis said on Twitter. Bihar Deputy Chief Minister Sushil Kumar Modi said his government has not received any letter from Jaitley on the matter, ANI reported. “First we will see the order, then make a decision on petrol and diesel [prices],” he added. “Each and every state has their own situation [sic], so first, let the letter come.” The BJP and the Janata Dal (United) are allies in Bihar. Kerala Finance Minister Thomas Isaac however, said his government would not cut fuel prices, News18 reported. He said the Kerala government wants the Centre to remove taxes on petrol and diesel that were imposed when the BJP-led government imposed in 2014 after coming to power. Union Minister of Petroleum and Natural Gas Dharmendra Pradhan, who is in Bhubaneswar at present, requested Odisha Chief Minister Naveen Patnaik to cut taxes on fuel, ANI reported. BJP chief Amit Shah said the decision showed the government’s sensitivity towards welfare. Party spokesperson Sambit Patra expressed hope that people would get the Rs-5-per-litre relief at the earliest, PTI reported. The Congress siad the cut in fuel prices was a “panic reaction in the face of public anger” ahead of Assembly elections in four states. Congress spokesperson Randeep Singh Surjewala said the government should bring back prices to what they were in 2014, instead of “throwing pittance of one or two rupees” at the public, IANS reported. Fuel prices across the country have increased by over Rs 5 per litre since mid-August. The prices continued to rise because of the depreciation in the rupee’s value and a rise in international oil prices. On Thursday, the prices increased again to record levels after remaining unchanged the day before. 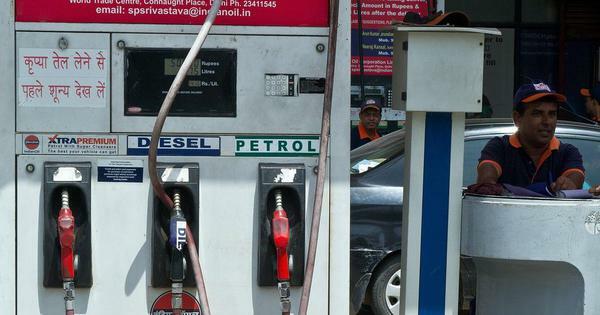 Petrol costs Rs 84 per litre in Delhi on Thursday and Rs 91.34 a litre in Mumbai.